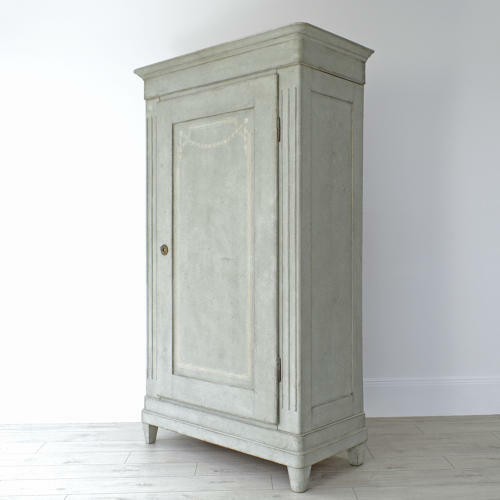 An impressive 19th century Gustavian style armoire with spacious shelved interior and wonderful antique grey patina. A handsome storage piece which would make a statement in any room. Swedish circa 1870.